Enjoy the lifestyle you want, in spite of the challenges of aging. Many families and friends wear themselves out trying to offer all the assistance they can to an aging parent, only to find that everyone’s quality of life still suffers. Many seniors and their families end up scrambling just to accomplish the “basics” like getting to the doctor, preparing meals, and keeping house. Although assistance can be piecemealed, often the aging person still comes up short. Nutrition, oversight, and age appropriate socialization, to some degree, are typically lacking at the end of the day. St. Francis Villa offers choices; giving residents more control over daily decisions and helping them maintain independence. We provide helping hands 24 hours a day, giving you the peace of mind you deserve. Residents can have an increased quality of life and a greater sense of well-being, and families can enjoy more quality time together. 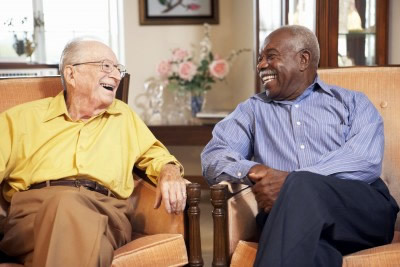 Special times with an aging parent can be even more enjoyable when you aren’t bogged down with constant worries. 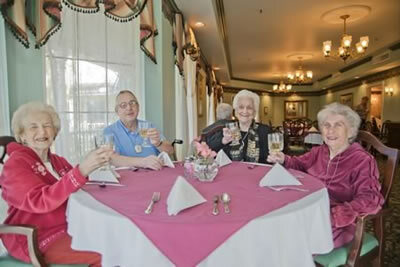 St. Francis Villa residents are doing more than just getting by. 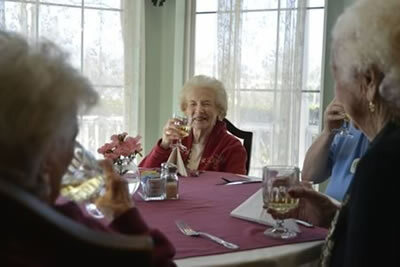 They are enjoying the lifestyle they want, in spite of the challenges of aging.